Among the many species of flowering trees you might choose to liven up your property, the dogwood family contains some of the most attractive. These trees have been grown for centuries for their dense, fine-grained timber and now they’re popular among gardeners too. There are dozens of species and while some are unremarkable, others can give you a spectacular display of flowers and foliage. Dogwoods are found throughout the northern hemisphere, with distinct groups in North America (mostly the southeast) and Eurasia. The more ornamental species can now be found almost anywhere because they’ve been exported and carefully cultivated. There’s a good chance you have one or more of these impressive trees in your own yard, and if so you’ll know how beautiful it is in early summer when the white or yellow flowers are in full bloom. But how much else do you know about it? Let’s look at some dogwood facts. Botanists aren’t quite sure how many species of dogwood there are. Estimates run from 30 to 60. The most popular with gardeners are the flowering dogwoods, mostly varieties of Cornus florida. As the name suggests these are native to the eastern USA. Their range runs from southern Maine down to the north of Mexico – but they can be grown almost anywhere in USDA hardiness zones 5 to 8. The big “flowers” of the showiest dogwoods aren’t quite what you think. The flowers themselves are small and inconspicuous; the large “petals” that surround them are really bracts, modified leaves. In most varieties these are white, but pink or red ones can also be found. Dogwood flowers are bisexual, so the tree can self-fertilize. Fertilized flowers develop into showy red fruits. These are drupes with one or two large seeds, and almost all species are edible. The fruit of the subgenus Swida, native to Tajikistan, is mildly toxic but these trees are rarely found in the USA. Any dogwood fruit you’re likely to find can be eaten. In Europe they’re traditionally made into preserves. The fruit is a great source of vitamin C, and has often been used in traditional medicine. Other parts of the tree have medicinal uses too. The bark of the flowering dogwood is rich in tannin and has been used as a substitute for quinine. It seems to have some effect at fighting fevers. During the American Civil War soldiers often made a herbal tea from dogwood bark, and used the leaves as a poultice to cool wounds. Nobody’s quite sure where the name “dogwood” comes from. One suggestion is that it was originally dagwood, because the hard wood was used for making dags, a kind of skewer. That doesn’t seem very likely though, because another name for it was Hound’s Tree – so there definitely seems to be a connection with dogs. Wherever the name came from it was being used by 1614 at the latest. An older name for the Eurasian dogwood is “whippletree”. Geoffrey Chaucer used this name in The Canterbury Tales, written around the end of the 14th A whippletree is part of the hitching mechanism of a horse-drawn cart, so either the part was named after the tree it was carved from, or the tree was named after what its wood was used for. In fact timber from dogwoods has many uses. It’s hard, dense and has a very fine grain, so it can be carved into intricate shapes without crumbling. Many woodworkers like it for small, complicated items like loom shuttles or musical instruments. Its strength means it’s also a favorite for objects that need to take a lot of pressure, like wine presses. Arrow shafts can be made from it, and it was used in the earliest laminated tennis rackets. Wooden golf clubs often have heads carved from dogwood. Most dogwoods are now planted as ornamental trees. They come in a range of sizes, from dwarf forms that are popular as hedges or on highway median strips, to the Hong Kong dogwood which can grow to almost 50 feet high. Dogwoods are also important to wildlife. Many species of caterpillars feed on their leaves, including Emperor moths. Birds eat the fruit, including the Swida species that aren’t edible for humans. There’s a legend that the cross on which Jesus was crucified was made from dogwood. This is unlikely though; the trees are rarely large enough to make a cross from their timber, and aren’t native to Israel anyway. In the southeastern USA a late cold spell in spring is sometimes called a “dogwood winter”. 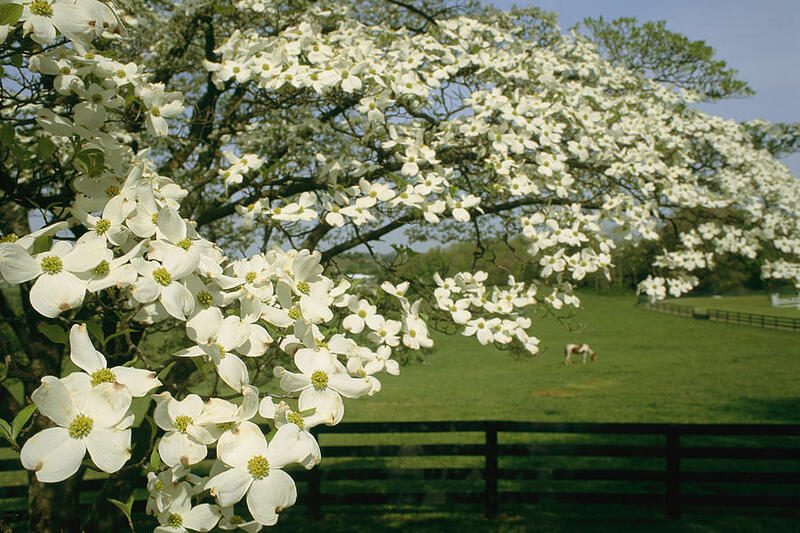 Farmers would avoid planting their crops until the dogwood flowers appeared, because that was a signal that the winter was behind them. It’s obvious that dogwoods and people have a long history together. Their timber has been very important in the past and still has its uses today. The trees themselves decorate our yards and parks, and help sustain wildlife through summer and fall. If you’d like to have a dogwood tree of your own they’re not hard to grow, as long as your climate is suitable for them. There are many cultivars, especially of the flowering dogwood, and some of them are truly stunning – The Tree Center has more than half a dozen of the most impressive. To ensure success with a dogwood look for a spot that gets partial shade – they’re very tolerant of light levels, but partial shade will avoid stress and give the best results. Soil type isn’t critical but they do favor slightly acidic ground that’s rich in humus, and it has to be well drained. Help your tree by planting it to about two-thirds the depth of the root ball, then mounding the soil around it. Dogwoods rarely need fertilizer unless the soil is very poor, and even then small quantities of a slow release fertilizer will be adequate. They do need regular watering through summer and fall, ideally once a week. A deep organic mulch will help keep water in. Do any pruning in summer – they tend to bleed sap if cut in winter. Growing a dogwood can be very satisfying, because it will be a beautiful addition to your scenery as well as a benefit to the local wildlife. 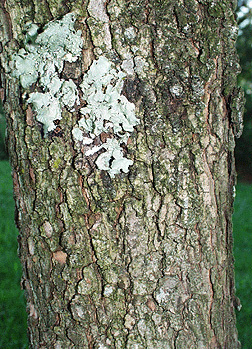 You’ll also be helping to preserve a tree that’s been very useful to us in the past and still has a lot to offer today. I have a light green something growing on the shady side of my dogwood and on the underside of each branch. I live in the Piedmont of North Carolina. The tree itself is quite small, and the tree grows in the middle of my struggling lawn. It is in a full sunny spot. I do not know if this is ordinary, horrifyingly bad, or what I can or should do about it. Any advice you can give or identification would be greatly appreciated. Is the Dogwood strong enough for a hammock? Hey. I’m wondering if the sap from the dogwood tree is poisonous. Can you find out about that?